Calling all science fiction fans and pet owners! This week, Dearborn Heights Libraries will have a book discussion focusing on Jack London’s science fiction novel The Iron Heel. In addition, they will host veterinarian Nicole LeVeque who will speak about about natural health care for animals. The Science Fiction book club at the Dearborn Heights City Libraries will discuss The Iron Heel by Jack London. Summary: In the early twentieth century, the United States diverged from the path of the history we know. Viewed from 800 years in the future, through the pages of an ancient manuscript, we learn that huge business conglomerates became all-powerful and ordinary people little more than slaves – the property of a despotic regime that controlled their lives. 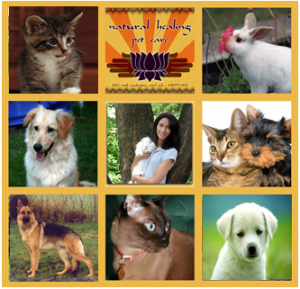 Veterinarian Nicole LeVeque will show how your cat, dog or other animal companion could lead a healthier life through nontraditional treatments such as acupuncture, chiropractic care, herbal and other remedies. Please call (313) 791-3800 to register. On Monday, the 1983 film Never Cry Wolf will be shown as part of the Blockbusters Free Film Series at the Henry Ford Centennial Library. The film is based on the book by Farley Mowat, a Canadian environmentalist. His book, first published in 1963, drew upon his experiences studying Arctic wolves in Canada. Find a copy at the Dearborn Public Library, available in both print and audiobook formats. On Thursday, The Henry Ford will host a lecture and discussion in the Benson Ford Research Center Conference Room. Around 1903 when The Call of the Wild was first published, writers such as Jack London were accused of being “nature fakers” and criticized for portraying animals as having human characteristics. Attend the lecture Was Jack London a “Nature Faker”? to learn more about this controversy. Many more events are still to come in the following weeks! Synopsis: A government researcher, sent to research the “menace” of wolves in the north, learns about the true beneficial and positive nature of the species (105 minutes, rated PG). One week ago, The Big Read Dearborn officially launched with a kickoff held at The Henry Ford. Over 700 people joined the festivities to kick off Dearborn’s 10-week literary adventure. Among the attendees were several students from Dearborn Public Schools who worked on creating a special tabloid version of The Call of the Wild. Kickoff guests had an opportunity to view a display of original artwork that the students created for the tabloid. Free copies of The Call of the Wild were distributed, along with the tabloid version created specifically for The Big Read Dearborn. Guests who signed up for Big Read email updates were entered into a raffle for free memberships to The Henry Ford, courtesy of Leader of the Pack sponsor DFCU Financial. In the Anderson Theater, guests learned about the background and significance of The Big Read Dearborn from Mayor John B. O’Reilly, Jr. and representatives from the Dearborn Public Library, The Henry Ford, and DFCU Financial. The speeches led into a dramatic reading from The Call of the Wild and a screening of Charlie Chaplin’s 1925 film The Gold Rush. In the Prechter Promenade, live piano music from the time period of the Klondike Gold Rush filled the hall as guests took part in activities that helped them learn more about the historical setting of The Call of the Wild. Representatives from the Boy Scouts brought their cold-weather camping gear to show what life might have been like for gold prospectors in the Klondike. Guests also had the opportunity to don a fur coat and hat like a Klondike gold prospector and snap photos against a wintry backdrop. Many kids (and adults) participated in a popular make-and-take activity that involved making a coaster featuring an image of Jack London’s wolf bookplate, held in the collections of The Henry Ford. You can read more about the kickoff in two great articles by the Dearborn Press & Guide and AAUW Dearborn. The Friends for the Dearborn Animal Shelter, a partner in The Big Read Dearborn, has wonderful cats, kittens, dogs, and puppies available for adoption. Attend their adoption events for a chance to meet these animals who are looking for their forever homes! Also mark your calendars for the Mutt Strut & Pet Expo, which will be held on Saturday, May 10, 2014, 10:00am – 3:00pm at Ford Field in Dearborn. The Mutt Strut & Pet Expo is a pledge-driven dog walk and community-wide animal celebration with lots of entertainment, shopping, and fun focused on pets and their families. It will take place rain or shine – all weather is dog weather! Jack London devoted his whole career to grappling with the implications of Darwinian thought. Join us for this lecture presented by Dr. Lawrence I. Berkove, a University of Michigan-Dearborn emeritus professor and internationally recognized authority on Jack London. Did you know that The Call of the Wild was first published in The Saturday Evening Post? It was published in five consecutive issues of the magazine from June 20, 1903 to July 18, 1903. The Big Read Dearborn is making The Call of the Wild available in a tabloid format that is similar to the way it was originally published. The tabloid was created by students from Dearborn Public Schools. Pick up your copy at the kickoff on Saturday, March 8 from 11:00 am-2:00 pm at The Henry Ford.